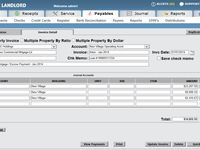 Pros: Easy to use, clear and simple ledgers and reports, customizable, suits our college student complex (roommates) as well as our section 8 complex in the city, users can have limited access nd the system keeps track of all actions, section8 functionality is awesome! The customer service is competent and responds quickly! Cons: Anything not ideal isn't a big enough deal for us to complain about. We love this program. I guess it would be nice if, when entering a cash payment, a memo could be entered that shows up on the line in the account ledger. 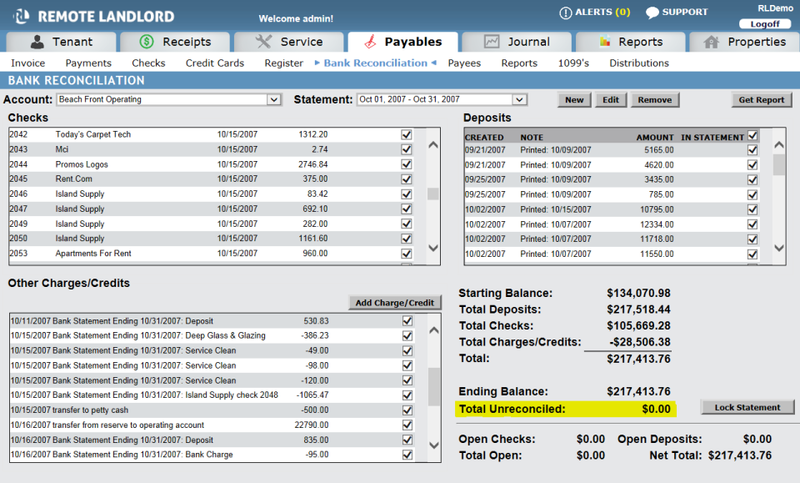 We have apartments with roommates who each pay a share and when multiple people pay with cash, we need to see the last name responsible for each cash payment on the ledger itself so when printed for the tenant, they can all see who paid what and who still owes. Overall: Streamlined both properties into one system and it offers us features and services that we plan to take advantage of in the near future, such as the online tenant portal for account viewing and maintenance requests as well as credit card rent payments. We are excited to continue using this program! Pros: The ease of use, is probably my best feature. Not to mention all the new features that are added pretty regularly, that make my life easier. Cons: It could track violations issued by NYC issuing agencies better. Right now we have to track manually with the tickets. Pros: Layout is clean and easy to navigate. 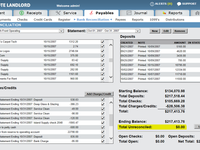 Options to customize reports and invoices gives you wide range of freedom to obtain and deliver the information you want. Great team of customer support is there to help with any questions. Cons: Would be nice to have abilities to monitor subsidy contracts that are out of sync or not updated with the tenant's current lease. 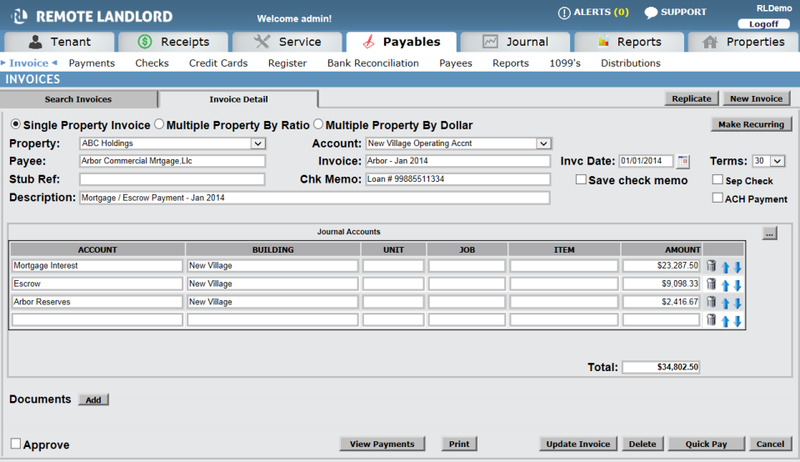 Good software for Property Management. 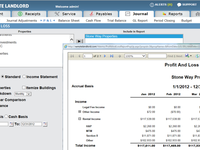 Pros: I like that you can keep track of tenant payments easily and that the accounting side interfaces with the tenant side. Cons: The cost to set up tenants for credit card payments. 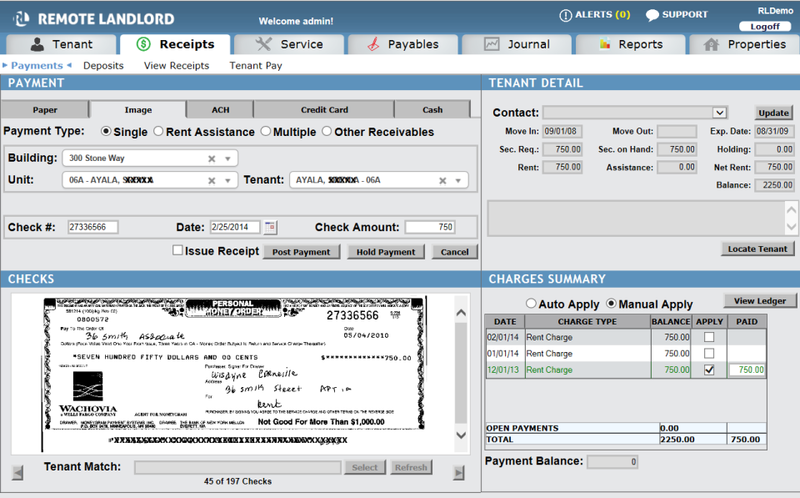 You are required to pay a fee for all tenants on the system to do the credit card payments. Comments: I have been historically a mom-&-pop shop style business and was performing all my accounting within glorified excel files that I created. As I grew my company to nearly 350 units at which time I required a professional system. I interviewed and sampled many different programs all of which appeared too complicated, expensive and simply did not fit the needs of a NY Landlord. I am an accountant by trade and understand that if you do not have a system that can really understand the nuances of section 8 subsidies and various charges, you can find yourself married to a program that simply does not work. Until I found Remote Landlord. This program has saved my life. The interface is user-friendly, internet access, unlimited users, reliable, support team is excellent and most of all IT WORKS!!! 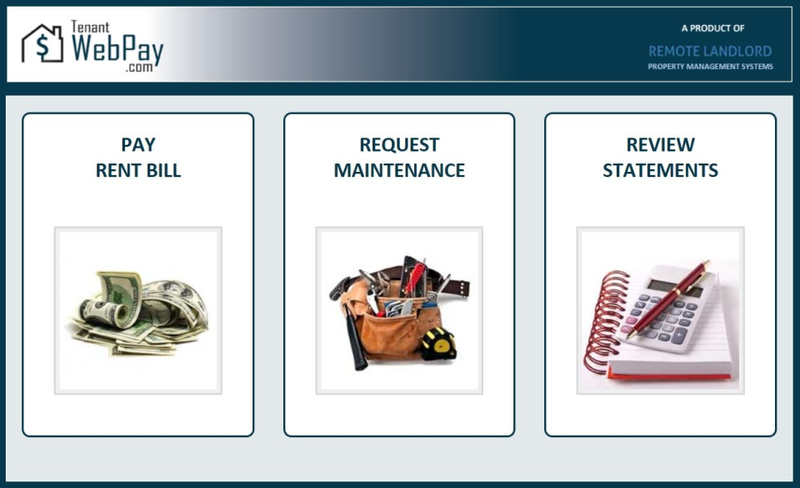 This system performs everything that you need to run a property management company or simply to be a self operating landlord (ie: Leases, Rent Invoices, Work Orders, Financial Reporting, A/R Reports, Rent Rolls etc). Do not hesitate on this system. It is good! 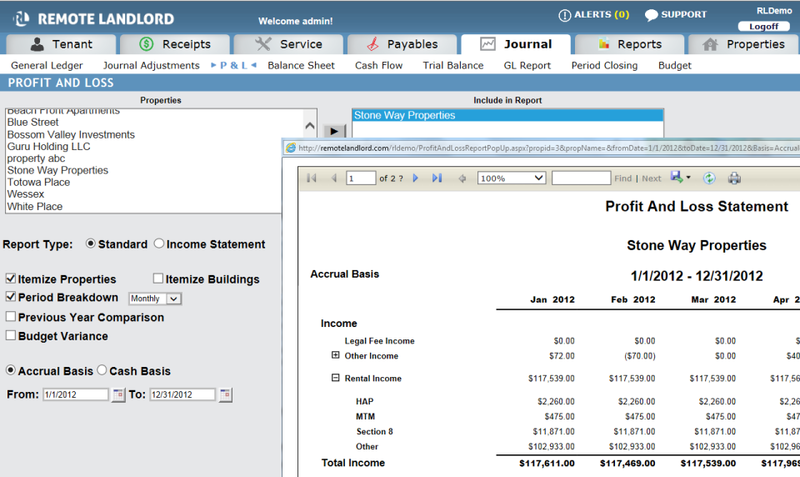 Pros: Easy to get used to the system, love the layout, Has great formulas, Everything is very detailed. And the best part is the CUSTOMER SERVICE Ready to help you anytime. Comments: We have been through several management softwares in our long corporate history and finally we have a system that fits out needs like a glove. The cloud based system give us the power we needed to archive and achieve real efficiency. The personal and expert customer support we get from Dan and his team is truly exceptional. Highly recommend RR for any landlord looking for a powerful tool in our crazy business. Remote Landlord is Second to None! Comments: Remote Landlord is powerful, all-encompassing and user-friendly. 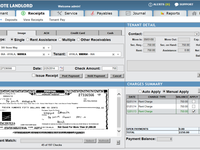 The web-based system is accessible from anywhere at any time. Loaded with features and abilities that improve productivity. Professional, responsive and courteous customer service! We highly recommend Remote Landlord! Comments: User Friendly, Multifunctional, Excellent Customer Service . I love this program. We have used another popular program for years and since we switched to Remote Landlord we were able to accomplish twice as much work then before. Comments: We have been users since 2010 and love this product. 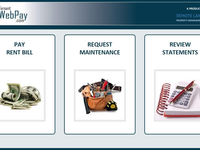 It is very user friendly, reliable, affordable and the tech support and customer service are exceptional. Highly recommend it for all phases of managing your property. Comments: Remote is always available and ready to handle all our issues. They have creative ideas to resolve some of our specific needs.